d i a p s a l m a t a: French Theater + Cool Visualizations = the future of digital humanities? 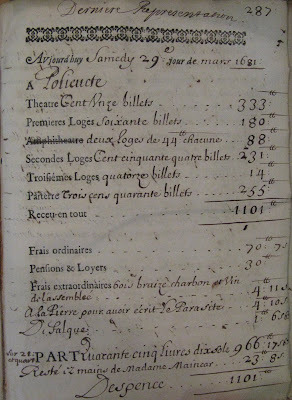 From 1680 to 1793, the Comédie-Française, a French theatre troupe founded by Louis XIV, kept meticulous records for each of its performances. 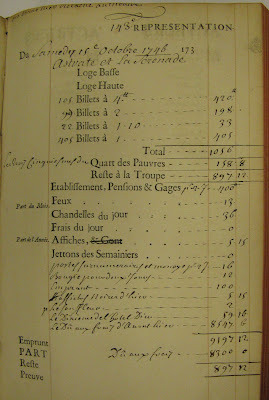 At the end of every show, the troupe’s secretary wrote down the cost of tickets, the total sales for each section of the theater, even how much was spent on wine for the rehearsal dinner. In a sense, these registers -- each one recorded on a preprinted one-page form -- acted like a proto-database, collecting metadata for every play ever performed by the Comédie-Française. . . which all sounds like the stuff of history, of dusty archives and strange old handwriting, until Jeff Ravel, a cultural historian and professor of history here at MIT, conceived of an ambitious but brilliant project: digitize the entire corpus of registers, drop them into a database much like CESAR (which Professor Ravel helped co-found), and develop innovative tools to manipulate the data. He got in touch with MIT’s HyperStudio, the digital humanities lab in which I work, and – many months, a few trips to Paris and 579 registers later! – we’ve developed our first working prototype. We recently debuted it at the CESAR/Clark Symposium in Williamstown, MA. Of course, the project has a long way to go before it can be released to the general public. Eventually, the visualization and faceted browsing will work in concert, such that setting limits in the facets will update the axes of the graph. Smaller bar graphs may also be added to the facets on total spectators and receipts, since the current design doesn’t visually show how many people bought tickets in each section of the theater. In addition, the results display in the faceted browser – currently constructed to mimic the layout of the actual registers – may go through several iterations before we hit on a design that allows researchers to compare fields in a dataset without eliding the look of the actual registers. These kinds of negotiations seem to be at the core of digital humanities research. In my own work at HyperStudio, I'm often developing projects that both require and teach new literacies, putting me in the strange (though not unwelcome) position of designing for an imaginary audience, and of “innovating” something that never had a tradition in the first place. 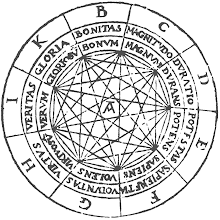 Can we now call digital humanities a “field”? And if so, how can we more effectively learn from each other, sharing (as I've attempted to do here) our successes and failures?